People are coming to your website but leaving without getting engaged. Familiar issue? Well, one of my friend Sunil shared this problem with me. He was facing this problem on his website since long. He was spending a lot of money to bring people on his website but they all were leaving without getting engaged. Hence, there were less conversions and lesser business. This got him demotivated and he stopped all his efforts to bring traffic. When he told me about this, I analyzed his website, landing pages on various factors and gave him some small suggestions. And it did work, customers have started engaging with his website which has increased his conversion rate to double. Now he has divided his expenses between advertising, conversions equally and reaping much more benefits. Who doesn’t like some help from a salesman when they go for shopping? Or isn’t that a relief when a waiter suggests you some dishes when you’re confused in a new restaurant? Consider, the situation here is no different. A person who is coming to your website can easily get confused. It’s your duty to offer the person some help and support and when you do so, it won’t only make the experience better but the chances of his online conversion increases drastically. 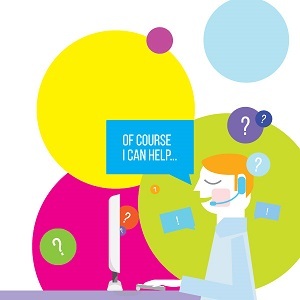 Offering help with live chat solution is one of the easiest and instant methods to boost website engagement. Having a live chat help is like having a constant companion during the buying journey which makes the whole experience a lot better. It also increases the brand loyalty along with website engagement as the person is tend to come to you again for purchase rather than going somewhere else. While making a purchase or a decision, one needs the support or approval of his friends and family. So, it would be a great if I can share what I found on your website to my friends and ask for their opinion or I can show them what I just bought. Including social sharing is the best way to boost website engagement. If you’re producing some awesome content which people are liking, but are not able to share with their friends, then it’ll never go viral. You need to place social sharing widgets on your website, so that your customers/ visitors can easily share your content with their network. If you go to a store, where they have showcased some great offers on the upfront, what would you do? Obviously, you’ll first go to that offer section and chances are that you’ll certainly buy something from there as well. You see the strategy will remain the same in case of your online store. 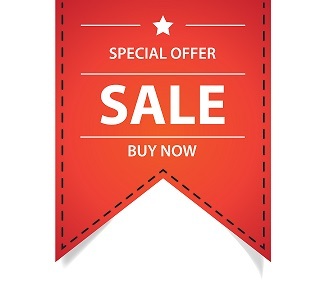 So, when people are coming on to your website, show them your best offers on the home page itself. It’ll create excitement into them to know what the discount is and would want to buy that product first. Want to make it better? Put a “Limited Time Offer” tag and you’ll see the Fear of Missing Out (FOMO) phenomena working. If your website visitors are coming directly to your product page, then it is very important for them to identify different sections such as benefits, features, and your Call To Action (CTA) button. This button will take them one step further in the buyer’s journey. If your CTA, won’t be clear, then there are chances that your visitor will leave your website even if they liked your product. If your objective is not selling but to increase your email list, then you need to put your CTA button very strategically e.g. when the person is leaving your website. Imagine yourself going to a mall and not sure where the shoe section is, you won’t like wandering here and there while searching for shoes. You want some clear direction pointers in order to reach to your destination. Same is the case with your website visitors, they are also in your online shop searching for something and if they can’t find it easily they’ll leave early. Making your website navigation easier is another way of keeping your website visitors engaged to your website and hence increasing their chances of conversion. So, make sure that your website mobile optimized. Apart from that, as per Google’s latest algorithm update, it enacted significant penalties for those websites who failed to meet the basic standards for mobile friendliness. So if your website is not mobile responsive, then you are going to have a tough time in your business for sure. Your content which looks great on the desktop, may be unreadable on a mobile device. Another thing in particular should also be kept in mind for mobile visitors: remove all the nonessential elements from the website for example, unnecessary side bars, graphics, ads or popups. Also make sure that all the call to action or contact us forms are working properly otherwise, visitors will simply leave your website being frustrated. Above mentioned are some tips which will help you not only in keeping your website visitors engaged but also help them with a better experience. Such good experience everyone remembers and they will come back to you for that only. It instills the trust on your brand. All these tips have helped my friend and I’m sure that they’ll help you too. Anurag Mehra is a Growth Hacker and a Digital Marketing Enthusiast who believes that learning never stops in this ever evolving domain. He likes to share his knowledge and learn form others.